I love revisiting past designs that I loved to create brand new cards. This card is inspired by last year's Fly With Me Card HERE. I'm combining the Flying With Friends Stamp Set with the Fly With Me Stamp Set. Greetings from the Friendship Sentiments and Color Me Letters stamp sets are the perfect greetings for this thank you friendship card! This card features very minimal masking. I masked the letter "k" and the foot on one elephant but otherwise, no masking! I stenciled the card first, stamped over the background, then colored and embellished! The 5 1/2" x 12 card base was stenciled with Cracked Pistachio Distress Ink and the MFT Cloud Stencil. This no-masking technique works best with lighter colors of ink. If you want to go with darker colors, stamp and mask first, then stencil. Because Distress Inks and Zig Clean Color Real Brush Markers are water based so they work together seamlessly! 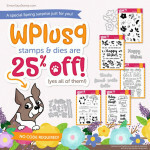 I stamped the greetings from the Friendship Sentiments and Color Me Letters stamp sets were stamped first. The letter "k" was masked and then I stamped images from the Fly With Me and Flying With Friends stamp sets to finish building the scene. The images were colored in with Zig Clean Color Real Brush Markers. The design was finished with a scattering of Pretty Pink Posh Iridescent Star Confetti. I can't get enough of Valentines-themed projects. If you've followed me for awhile y'all probably know this about me already! Today I'm sharing a some quick and easy coffee-themed gift card holders that are made simple with patterned papers, lots of awesome Honey Bee Stamps dies and some quick stamping. If you are giving a Starbucks or local coffee/tea shop gift card this Valentine's Day, these shaped cards add that special touch that the recipient will fall in love with! I used various Doodlebug patterned papers from my stash for my projects today. Most of these have been in my stash for years. I've linked to similar Doodlebug patterned papers in the supply list below or use whatever you have on hand. Patterned papers make this project so fast and easy! I used both the Honey Bee Frappe Card and the Coffee Cup Gift Card Holder for my gift card holders today. The Coffee Cup Card Dies, Mason Jar Card Dies, or Donut Card Dies would also make fantastic shaped Valentines cards. I'm a huge fan of both the Stacking Hearts Dies and Scalloped Hearts Dies. 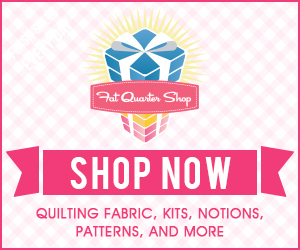 These make lots of sizes of layered hearts perfect for all kinds of paper crafting and decor projects. The Bee Bold Numeric Dies and Bee Bold Alphabet Dies are the perfect addition to the centers of the hearts on the coffee shaped cards. Honey Bee acrylic hearts were the perfect small love-themed accents for the cards. Greetings from the Perfect Blend Stamp Set and Foxy Sentiments Stamp Set were used to adorn the fronts and insides of both cards. The vellum pocket for the Frappe Card was created with the Gift Card Pocket and vellum. These sweet cards are all ready for some gift cards! Looking for more shaped coffee-themed card ideas? ---------> Click HERE for my birthday-themed Frappe Gift Card Holder Cards. ---------> Click HERE for Snowman Christmas-themed Coffee Cup Gift Card Holder Cards. ---------> Click HERE for Polar Bear friendship-themed Coffee Cup Gift Card Holder Cards. 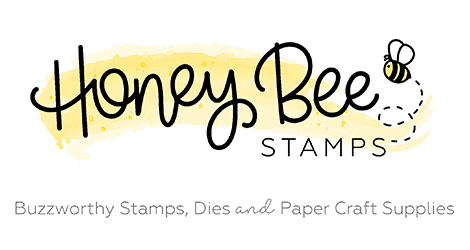 Hello friends and welcome to the Honey Bee Stamp Brie Mine Release Blog Hop Day 2! Today I'm sharing one of my favorite kinds of cards, tri-fold one layer cards with extreme masking and colored with Zig Clean Color Real Brush Markers. The sweets from the Piece of Cake and Mae the Mouse Stamp Sets are perfect for this technique and doesn't this make your mouth water just looking at this yummy display?!!!! I always start by trimming Bristol Smooth Cardstock to 5 1/2" x 12" and lightly drawing a pencil line at 4" and 8". Then I start stamping the images I'm using to create the scene. Make sure to stamp the images in the foreground first, mask them, and then stamp the next layer, mask them, and so on. I followed this all the way across the panel until I had filled the entire design with sweet treats. I drew in a line with a black pen to "ground" the images and create a table or counter for the sweets to be sitting on. Sentiments from Piece of Cake and Mae the Mouse were stamped above and below the treats as shown. I erased the pencil lines before coloring. The images were colored in with Zig Clean Color Real Brush Markers. I love using water based markers as they don't bleed through the cardstock to the backside of the tri-fold card. The gift tag was customized with a sentiment from the Piece of Cake Stamp Set. I stamped and embossed the greeting with white embossing powder. The hershey kisses tags were stamped with greetings using red ink. Prisma Glitter was added to the two "frosted" cupcakes to look like decorative sugar and Glossy Accents was added to the cherries. Once dry, the card was scored at 4" and 8" to finish the design. 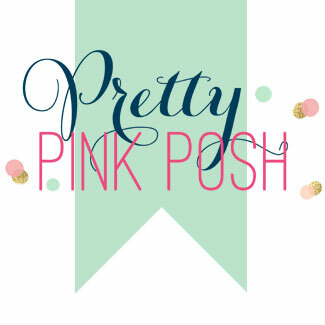 Please leave a comment on each blog for a chance to win the Honey Bee giveaway (two winners $30 gift certificate each)! Winners have been announced HERE on the HBS Blog! I started by die cutting a piece of smooth white cardstock with a Small Stitched Rectangle Die. I used the Let's Toast Pull Tab Add On tab and slider notch dies to die cut these from the panel. I inked the background with Abandoned Coral and Dried Marigold Distress Inks and then stenciled over the background with the Simon Says Stamp Large Falling Hearts Stencil. The Let's Toast Pull Tab Add On track and guide were die cut from smooth white cardstock and the track was threaded through the front of the panel and the guide was used to secure the track right underneath the notched opening. A sentiment from the Let's Toast Stamp Set was stamped on the panel with clear embossing ink and heat set with white embossing powder. Images from Let's Toast, Pumpkin Spice, and Love 'n Breakfast were stamped on smooth white cardstock with Jet Black Ink, colored in with Copic Markers and die cut with the coordinating Let's Toast, Pumpkin Spice, and Love 'n Breakfast dies. Faces were added to the images for a fun, playful touch. Cheeks were also stamped on most of the images using Lawn Fawn Inks. The piece of toast for the toaster was placed on the slider track tab. A notch was die cut from the toaster using a Let's Toast Pull Tab Slider Add On and the toaster was slipped over the toaster and adhered with foam adhesive along the sides. The rest of the images were adhered to the scene using a combination of glue dots and foam adhesive. Hearts from the Let's Toast Stamp Set were stamped on the background with Lobster Ink. A pull tab from the Let's Toast Pull Tab Add On was die cut from Chili Pepper Cardstock and stamped with "pull here" from the Push Me Stamp Set using clear embossing ink and heat embossing with white embossing powder. The tab was secured to the pull tab slider mechanism to tell the recipient that the card is interactive. A Fancy Scalloped Rectangle was die cut from smooth white cardstock and the edges inked with Abandoned Coral Distress Ink. The interactive panel was secured to the scallop rectangle with foam adhesive and adhered to a white side fold card base. White pen detail was added to the images as shown. The rest of the sentiment from the Let's Toast Stamp Set was stamped inside the card with Lobster Red Ink to finish the design. Today the Mama Elephant Design Team is showcasing the brand new Wild Meadow Stamp Set and coordinating dies. I paired the awesome leaves border with some adorable critters from Stackable Cuties Stamp Set. A 4" x 5 1/4" piece of smooth white cardstock was inked with Mowed Lawn and Twisted Citron Distress Inks. Sentiments from the Stackable Cuties Stamp Set and Sending Hugs Stamp Set were stamped directly on the background with Green Leaf Ink. Images from the Wild Meadow and Stackable Cuties stamp sets were stamped on Bristol Smooth Cardstock with Versafine Onyx Black Ink, colored in with Zig Clean Color Real Brush Markers, and die cut with the Wild Meadow Dies and Stackable Cuties Dies. A bow from Fly With Me was stamped, colored, die cut and added to one of the monkeys. The borders and three of the critters were adhered to the background with foam adhesive. The other two monkeys were adhered directly to the background. The design was finished with Glossy Accents on the koala's nose and a scattering of Nuvo Crystal Drops in Key Lime were applied throughout to finish the card. Hello friends! I'm so excited to share this hog wild birthday cupcakes card with you today! This card is die cut heavy with a stenciled background, stamped cupcake wrappers, and stamped greetings. What gives this card that special touch is the multiple die cut cupcakes with a cute piggy popping up from the center! Let's get started! The background for my card was inked with Picked Raspberry Distress Ink on smooth white cardstock in an ombre effect from dark to light, leaving the bottom of the panel white for stamping the sentiment. A Polka Dot Background Stencil was inked with the same color of ink over the background for a decorative touch. Sentiments from the Ham It Up Stamp Set were stamped along the bottom of the panel with Simon Says Stamp Doll Pink Ink. The Cupcake, Pinky Paper Piecing, Stacking Heart, and Scalloped Heart dies were die cut from a combination of regular cardstock and glitter cardstock. The Cupcake wrappers were stamped with tone-on-tone ink using the Bitty Patterns Stamp Set to customize the wrappers. This gives them a patterned paper look and adds instant interest to the design. The die cut images were adhered to the card base with tape adhesive or foam adhesive to build depth and dimension. The "glaze" on three of the cupcakes was finished with Glossy Accents and then the Coffee Tiny Bubbles were sprinkled over the top for added texture. I love the look of the tiny bubbles in the frosting! Additional greetings from the Ham It Up Stamp Set were stamped inside the card to finish the sentiment. You could make this card work for Valentines or other occasion by simply switching up the sentiments or leaving off the birthday candles! The card was finished with a scattering of Strawberry Ice Acrylic Hearts, Candy Hearts in Be Mine, and Hug Me. Hello friends! Today I'm excited to share a couple of sweet bear-themed love cards with the brand new MFT Heart Art Card Kit and Joyful Heart Bears Stamp Set and coordinating dies. These brand new products are fantastic for creating all kinds of amazing cards for Valentines and beyond. Both cards featuring components from the January Kit, the Joyful Heart Bears Stamp Set, and the Mini Cloud Stencil. Both of my cards today feature a pink color scheme, stenciled Mini Clouds and components from the Heart Art Card Kit and Joyful Heart Bears Stamp Set to create adorable love-themed designs that will for Valentines and beyond! I always love having a good stash of love-themed cards on hand! Neenah Smooth White Cardstock was stenciled with the MFT Stamps Mini Clouds Stencils and Picked Raspberry Distress Ink. I love non-traditional colors for clouds! The pink color compliments the rest of these cards much better than a blue cloud would. From the landscape stenciled cloud background the landscape Double The Love Die-namics die from the Heart Art Card Kit was die cut from the cloud background. The word "love" was also die cut 3 times from Gina K Passionate Pink Cardstock. The panel and the first layer of cardstock letters were inlaid into the design on a side fold card base. The cardstock letters were adhered one on top of another to give the greeting subtle dimension. The die cut sentiment was finished with the stenciled die cut letters adhered slightly offset. A sentiment from the Joyful Heart Bears was stamped above the word "love" with Lawn Fawn Plastic Flamingo Ink. The bear and butterfly images from the Joyful Heart Bears Stamp Set were stamped on Bristol Smooth Cardstock with Versafine Onyx Black Ink and colored in with Zig Clean Color Real Brush Markers. The images were die cut with the coordinating dies and adhered with foam adhesive as shown. Nuvo Crystal Drops in White Blizzard were applied to the wings on the butterflies and the design was finished with a scattering of Honey Bee Stamp Strawberry Ice hearts. For my second card a greeting from the Joyful Heart Bears was stamped along the bottom edge of the portrait stenciled background with Lawn Fawn Plastic Flamingo Ink. The Mini Heart Shaker Window and Frame Die-namics (FREE with $60 purchase from MFT Stamps) was die cut from the upper part of the design. I only used the window, not the frame today. A Heart Art image was stamped on smooth white cardstock using Lawn Fawn Plastic Flamingo Ink and die cut with the same die. The heart was adhered directly to the card base and the panel was adhered with foam adhesive for dimension. The bears and butterfly images from the Joyful Heart Bears Stamp Set were stamped on Bristol Smooth Cardstock with Versafine Onyx Black Ink and colored in with Zig Clean Color Real Brush Markers. The images were die cut with the coordinating dies and adhered with foam adhesive. Nuvo Crystal Drops in White Blizzard were applied to the wings on the butterflies, the hearts in the pail, and the heart the bear is hugging. The card was finished with a scattering of Honey Bee Stamp Strawberry Ice hearts. Hello friends! Today I have two love-themed cards featuring the January 2019 Spellbinders Stamp of the Month Club stamps. I created one layer cards with the stamps from the kit only. Want the option to die cut them images? Pick up the coordinating Key To My Heart die set, sold separately. A Monthly Red Rubber Stamp Set: The full size stamp sets are approximately 5.75 x 4.5 in size. (Will vary each month.) $25 Value! Project Inspiration: Each stamp set will feature project ideas with at least one detailed how-to instruction tutorial each month. Member Benefits & Savings: Receive exclusive member pricing in the Spellbinders FSJ store. 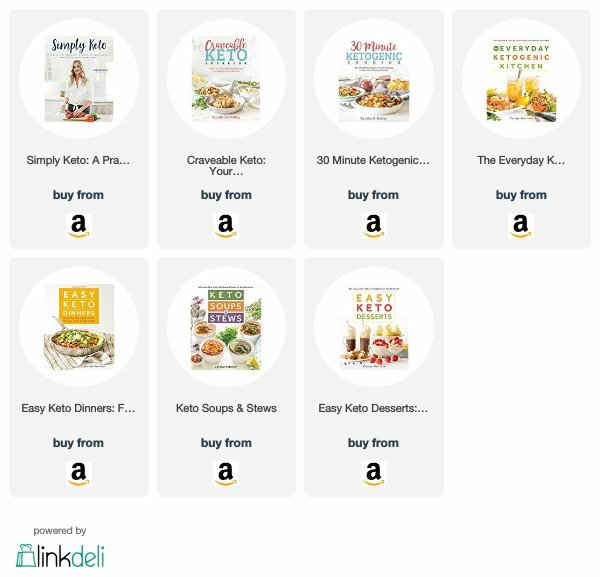 Plus receive access to deals, savings, and gifts - only available to members. Cost of the club kit is $20.00 plus shipping each month. I am a huge fan of Spellbinders Club Kits. I've been using the Small Die of the Month Club, Large Die of the Month Club, and Card Kit of the Month for awhile now and I love them! I'm super excited about the addition of the Glimmer Hot Foil Kit of the Month Club and Stamp of the Month Club and hope y'all are too! I challenged myself to created one layer designs today. One card with an overall stamped background and one with masked images. Want to add even more dimension? Add the coordinating Key To My Heart Die Set, sold separately, at the time of subscription! Images for both cards were stamped with clear embossing ink, embossed with white embossing powder, and colored in with Gansai Tambi Starry Colors and a water brush pen. These metallic colors are my absolute fav on dark backgrounds! For the winged heart locket card, I stamped sentiments from the Spellbinders January 2019 Stamp of the Month Club and the locket using clear embossing ink and heat set the images and greetings with white embossing powder. I created a mask for the locket, and stamped the wings over the design and embossed those as well. The images were colored in with the Gansai Tambi Starry Colors and a water brush pen and set aside to dry completely. Picket Fence Distress Paint was watered down a little and splattered over the background with a small paintbrush. The background was trimmed down to 4" x 5 1/4" and adhered to a white top fold card base. The design was finished with a scattering of Honey Bee Be Mine Candy Hearts and Pretty Pink Posh Metallic Jewels. For the gray background, the sentiment, locks, and keys from the January 2019 Stamp of the Month were stamped using clear embossing ink and heat set with white embossing powder. The images were colored in with the Gansai Tambi Starry Colors and a water brush pen and set aside to dry completely. Picket Fence Distress Paint was watered down a little and splattered over the background with a small paintbrush. Today the Mama Elephant Design Team is showcasing the incredible Friendship Sentiments Stamp Set. I love a good sentiment stamp set and this one is phenomenal! You can use these greetings with any images from your stash or pick up some of the new cuties from the January 2019 Release, like these elephants and mice from Flying With Friends for some truly sweet friendship cards! I started by stenciling a cloud background on Neenah Smooth White Cardstock with the MFT Stamps Clouds Stencil and Salty Ocean Distress Ink. I trimmed the panel to 4" x 5 1/4" and then die cut the Offset Rainbow design from the stenciling background, discarding the rainbow rays. A sentiment from the Friendship Sentiments Stamp Set was stamped along the bottom edge of the panel with Simon Says Stamp Island Blue Ink. The rainbow rays and cloud from the Offset Rainbow Dies were die cut from smooth white cardstock. The cloud was also die cut once from vellum. The rainbow rays were inked with Picked Raspberry, Candied Apple, Spiced Marmalade, Squeezed Lemonade, Mowed Lawn, Salty Ocean, and Wilted Violet Distress Inks. The background panel and rays were adhered to a white top fold card base in an inlay design as shown. The elephants and mice from the Flying With Friends Stamp Set were stamped on smooth white cardstock with Intense Black Ink, colored in with Copic Markers, and ndie cut with the coordinating Flying With Friends Dies. The images were adhered to the scene with glue dots or foam adhesive squares. The white cloud was also adhered with foam adhesive squares. Nuvo Crystal Drops in White Blizzard were applied to the balloons for a sparkly finish. Candy hearts in Kiss Me were scattered throughout the design for a pop up fun. The card was finished by stamping an additional sentiment from the Friendship Sentiments Stamp Set inside the card using Simon Says Stamp Island Blue Ink. Today the Mama Elephant Design Team is showcasing the new Flying With Friends Stamp Set and coordinating dies. I paired these cute images with the Cloudy Day Cover Creative Cuts Die, Friendship Sentiments Stamp Set, and a greeting bubble from the Stackable Cuties Stamp Set. The background Cloudy Day Cover Creative Cuts panel was die cut from Bristol Smooth Cardstock and inked with Shaded Lilac and Blueprint Sketch Distress Inks. Water from a Distress Sprayer was spritzed over the background and blotted dry with a paper towel. A phrase from the Friendship Sentiments Stamp Set was stamped along the bottom of the panel with Blueprint Sketch Distress Ink. Images from the Flying With Friends Stamp Set were stamped on Bristol Smooth Cardstock with Versafine Onyx Black Ink, colored in with Zig Clean Color Real Brush Markers, and die cut with the coordinating Flying With Friends Dies. The images were adhered to the background with glue dots or foam adhesive squares. A "hello friend" bubble from the Stackable Cuties Stamp Set was stamped on the background with Shaded Lilac and Blueprint Sketch Distress Inks. The panel scene was layered over a piece of Simon Says Stamp Blue Violet Cardstock and adhered to a white top fold card base. Honey Bee Stamps Candy Hearts in Be Mine and Jewels in Amethyst and Pansy Purple were scattered throughout the scene to finish the design.